I've been using (and obsessed with) Glossier products for a while now, so when they reached out to me to become a rep I said yes, of course! I do get a small commission when you shop with my link, but you also get 20% off your first order! I'd call that a win-win situation. 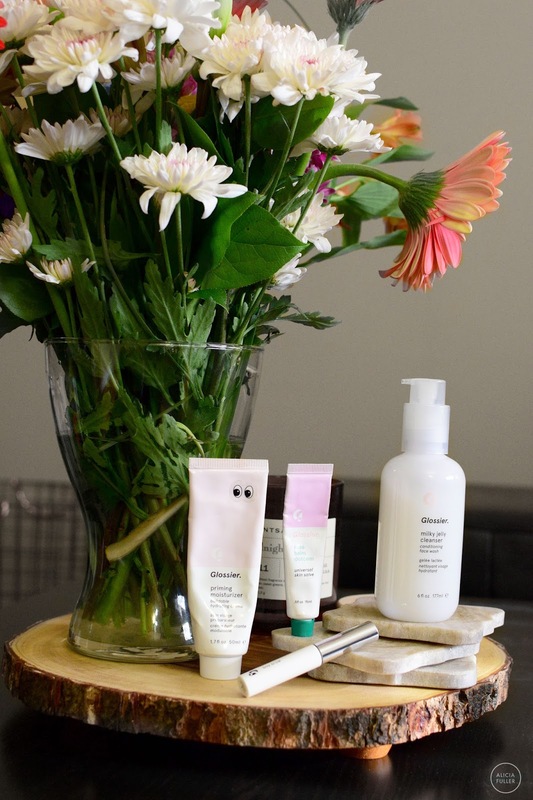 Today, I'm going to share my favorite Glossier products with you. These guys are the ones I think you should try out first if you're itching to delve into the realm of Glossier. Starting out with my all time favorite product, one that I never leave the house without, my Rose Balm Dotcom. I use this to moisturize my lips, I put some on the dry patches on my face, and use it when I don't have any hand cream on my person. Even if I'm not carrying a purse that day, I'm guaranteed to have my Balm Dotcom in the back right pocket of my jeans. It is my holy grail beauty product of all time. If there's anything you're going to start out your glossier journey with, it's the Balm Dotcom. My second favorite Glossier product is the Boy Brow. 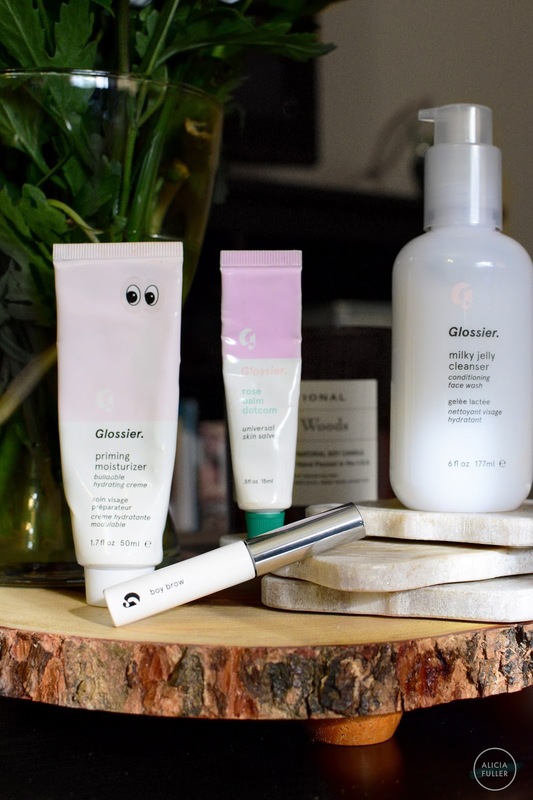 This was the first Glossier product I heard about when I initially learned of the brand. The Boy Brow actually does wonders for my super thin brows making the hairs stand out and stay in place. You can check out a dedicated video I made about the Boy Brow here! I like to wear this on top of my filled in brows, or when I don't actually feel like filling in my brows with the MUFE Aqua Brow but want to look like I actually have eyebrows on my face. This product definitely did not disappoint. Next up, we've got the Priming Moisturizer. I use this guy as a foundation base (primer) because I find that it helps my makeup last longer throughout the day. As a moisturizer alone, it unfortunately doesn't do much for dry skin because it's a very lightweight product. It makes your skin look super radiant and on days I don't want to wear foundation, I put this on as a last step in my skincare routine (after my daily face moisturizer). If you're in need of a lightweight radiant primer, I would give this a try. Finally, let's talk about the Milky Jelly Cleanser. This cleanser is unlike any I have used in the past. It feels so hydrating on my skin and does a good job at loosening up my makeup. I usually use this as my second cleanser, but recently I have been using it before I go in with my Clarisonic if I'm wearing makeup that day. I look forward to using this cleanser everyday because it feels as though I'm giving myself a mini facial each time I use it. It's also very soothing especially after using a physical exfoliant. I would definitely recommend this product to someone who has dry or combination skin. 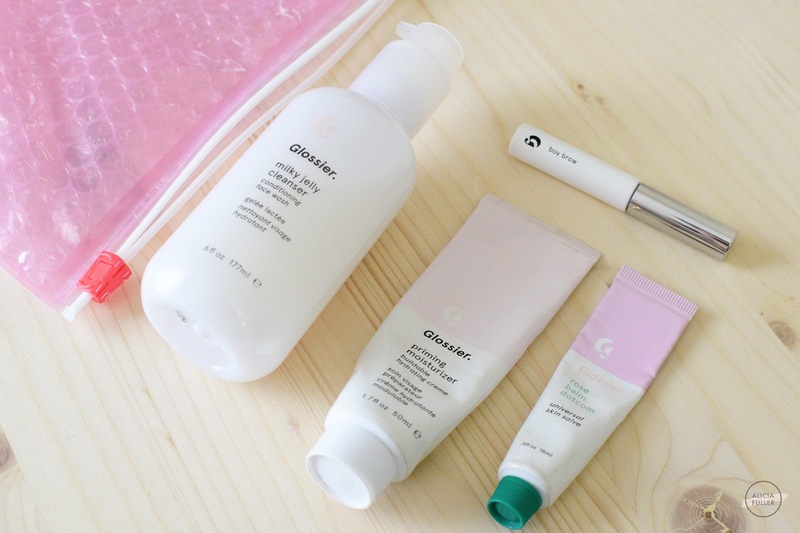 Let me know what you're going to try from Glossier, and don't forget to shop with me to get an awesome discount! Shop with me at http://glossier.com/reps/aliciaenkhulzii and get 20% off your first order and free shipping over $30!